i’ve been going through quite the retro phase. i swear, most of my dreams have taken place in the 70’s for the past 2 weeks. 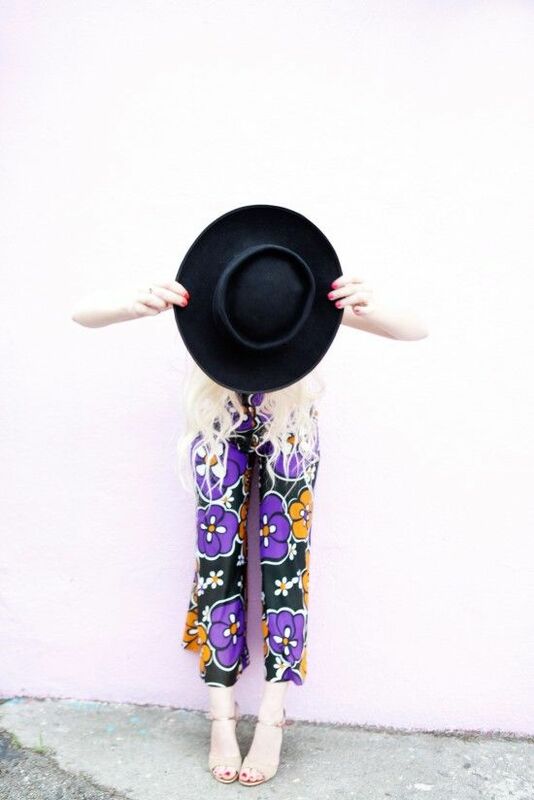 so you might think this vintage flower jumpsuit is crazy…but believe me, it’s awesome! i’ve been a little tired of my fit ‘n flare dresses that i wear constantly, so i have been switching it up around here. the jumper & hat are , and the shoes are . you are totally rocking that jumper girl! The retro vibe totally suits you! Work it! That last shot is fantastic! i’m loving the last photo. it’s so candid. you look great in bold retro prints! You are too stinkin cute! Happy Valentine’s Day! i LOVE the last shot! it’s amazing, and a huge compliment to both you and your photographer, that you’ve managed to make a gas station look glamorous. I know I couldn’t pull off that jump suit, but those shoes are AMAZING! How fun is that! So 70’s chic of you… I’ve been obsessed with jumpers lately. They’re so cozy and effortlessly chic. Always a fan of your style AND your photographers! You DO blend in! Love it. And that hat shot is amazing. Noooope, not crazy..absolutely fantastic. GIMME!!!!!!! That jumpsuit is totally cool! I love it! This jumpsuit is AMAZING! Love it!